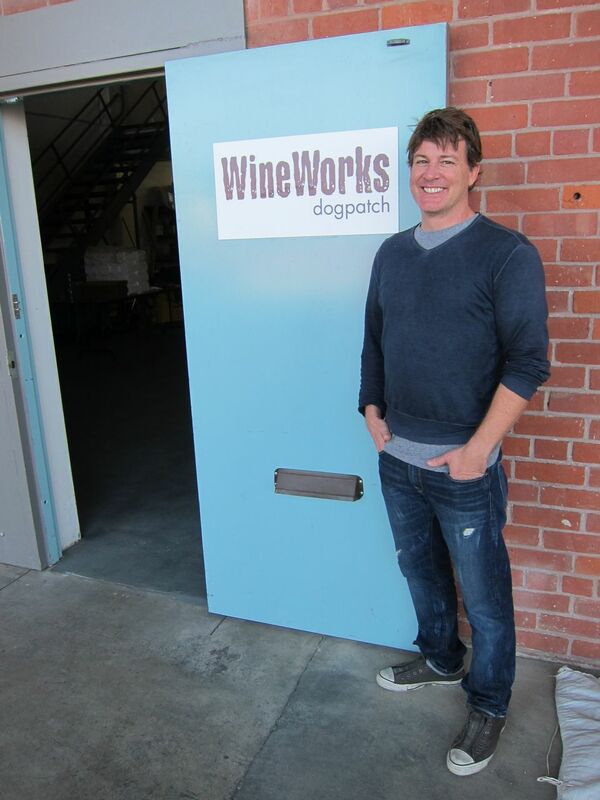 Dogpatch Wine Works co-founder Kevin Doucet takes pains to say his company is not like Crushpad. It's hard not to compare the two, though. It's the same basic idea: anyone can make their own wine at Dogpatch, with professional assistance. Like Crushpad, Dogpatch started in an industrial area in San Francisco, opening last year in a block-long former canning factory across from a closed PG&E plant. Both Dogpatch founders worked at Crushpad, and Crushpad's former Head of Winemaking is a consulting winemaker. But Crushpad was far more ambitious, moving first to Napa and then to Sonoma, and opening a branch in Bordeaux, and that may be what led to its downfall, with an ugly story last week in which clients can't even get their own wine. Doucet says Dogpatch Wine Works is happy to be in San Francisco, which is far more convenient to wine hobbyists both in the city and in Silicon Valley. "We got some clients who were disappointed when Crushpad left the city," Doucet said. Dogpatch's service is similar to what Crushpad started with, albeit with more standardized pricing. People sign a contract to produce at least 1 barrel: 24 cases (288 bottles) of wine. They can participate as much or as little as they like. They can foot-stomp the grapes if they want, or just give consulting winemaker Mike Zitzlaff a wine-style plan. Prices vary depending on the vineyard source. Dogpatch has 14 choices for the 2012 vintage, ranging in price from $6500 a barrel ($22.57/bottle) for Dry Creek Valley Sangiovese to $10,000/barrel ($34.72/bottle) for Napa Valley Cabernet Sauvignon. The most famous vineyard/grape combinations are Zinfandel from the Teldeschi Vineyard in Dry Creek Valley ($7200/barrel); and Chardonnay, Syrah ($7000/barrel) and Pinot Noir ($8000/barrel) from the Keller Estate on the Sonoma Coast. "Most of what we do is red wine, and we do a lot of Pinot," Doucet says. "Pinot's in vogue these days. Can't get enough of it." Doucet has three Napa Cabs and says Cab is the hardest grape to source. "Pinot Noir is interesting because there's still some undiscovered areas," he says. "Cab is different because Napa has a stranglehold." The few commercial clients using Dogpatch to make their wine fit a certain profile: people with day jobs in the city. Jordan Kivelstadt, for example, has a day job in San Francisco, but also makes wine from the Sonoma Valley vineyard his parents bought in 2005. The organically farmed vineyard is planted to Syrah that Landmark used to call "Steel Plow," and still buys under contract. Kivelstadt puts the grapes in bottles under two different brand names (Qualia, Pavo). He's a dynamic guy who also co-founded Free Flow Wines, which puts wine on tap, so being able to deal with his family's wines in the city fits his schedule. 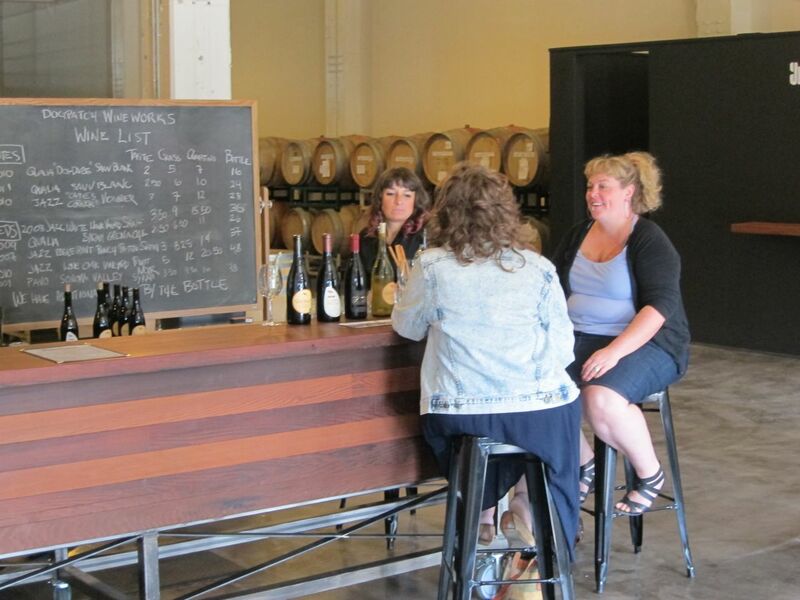 Dogpatch has a public tasting room open Thursday to Sunday for its commercial clients. It's part of a gourmet corner in this gentrified former textile workers' area. Mr. & Mrs. Miscellaneous across the street serves the city's best ice cream. Serpentine, known for its brunch, is next door. Piccino, a pizza place with one of the city's most interesting wine lists, is a block away. The best wine I tasted on my visit was from another ex-Crushpad client, Jazz Cellars Eaglepoint Ranch Mendocino Petite Sirah 2007, a tooth-stainer with good balance and a surprisingly elegant finish. A taste was $3.25, a glass $8. Doucet said last year 80% of Dogpatch's clients were private, and this year it's 65-70%. Dogpatch doesn't offer the commercial services like compliance paperwork that Crushpad did; you just make wine there. Maybe that's enough.